I got myself a little Huawei E585 device, so that I can put in a data SIM card when travelling. 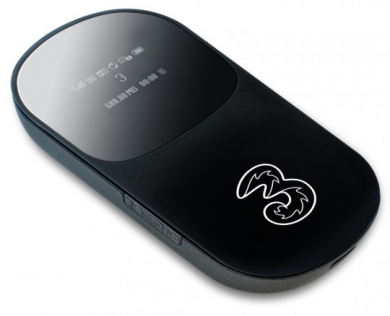 My attempts at getting a 3G data subscription in the UK that wouldn't cost an arm and a leg when abroad completely failed, and I didn't fancy carrying a phone just to use as a modem when travelling (I use my usual handset through Bluetooth when in the UK). Once in the Netherlands, I'll get a Pay-as-you-go 3G SIM card, top it up and subscribe to the cheapest data deal, and be done with it. Note that I needed to unlock the device for use with other carriers, using this dodgy looking website. But it worked as expected. My attempts at finding the Linux code on the device failed (and this code doesn't seem to be it), so I also dropped a mail to Huawei's FOSS office. See you online at GUADEC! Vodafone-NL has pay-as-you-go sim-only data sims for €5, with several options, one of which is "€2,50/day (or 80MB)"
2 things. Vodafone have an English version of their website, and the data plan for the month is 4.75 until the end of the month.